Seeing a beloved pet suffer is difficult enough, but making the decision to euthanize that family member stands alone in degree of difficulty. The only saving grace in this situation is not having to face it alone. 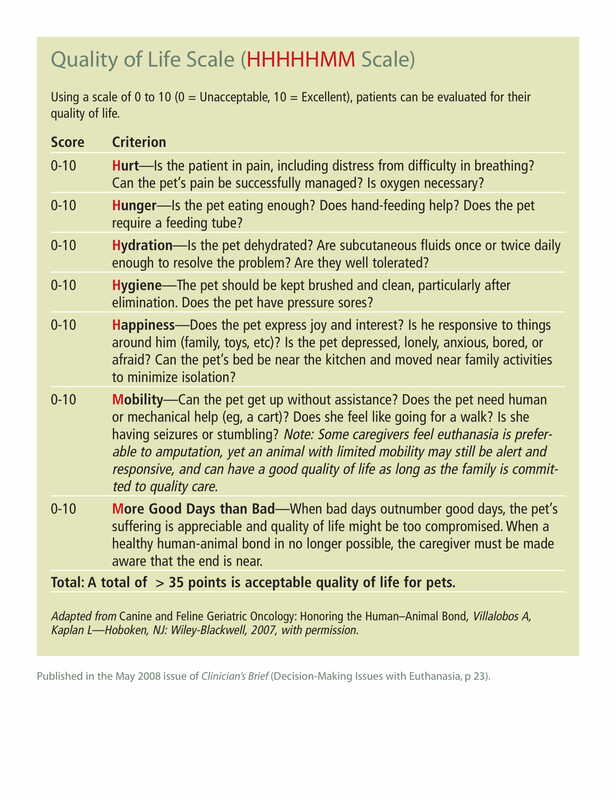 Our caring and compassionate staff can help you through the final life stage of your pet. In terminal cases, sometimes all the heroics in the world are not enough, but we can help manage your pet’s pain and make them more comfortable. You may find the Quality of Life scale on this page helpful, or possibly a private talk with one of our caring doctors is best. No matter how difficult the conversation, we are here to help you make the very best decisions for your faithful friend.